This is one of my favorite recipes to make and one that my whole family loves. 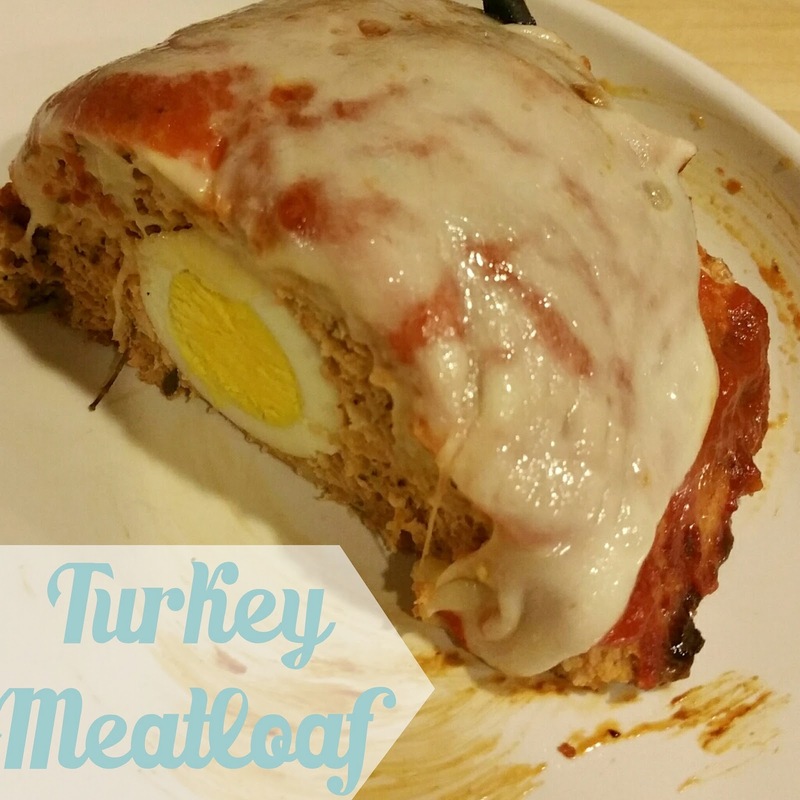 It's a slight variation from typical meatloaf. The eggs in the center are something my mother in law did and my husband loves them so I kept them in. Feel free to remove them if you prefer. They are a good source of protein and healthy fats though and turn out yummy when cooked inside. As for the turkey, I love using the Jennie-O Extra Lean Turkey packs and sometimes also combine the Extra Lean with a Lean pack in taco flavor. It gives the meat a good flavor and there's really no need for additional seasoning. The Italian seasoning is good too. If you prefer to use regular turkey, you can spice it up as you wish. Enjoy and, if you try it, leave a comment and let me know what you think! I'll be adding step by step photos soon, as soon as I make it again :) The photo on top does not have marinara sauce and cheese on top but that makes it MUCH better! 2. Brown chopped onions and garlic. Set aside. 4. Place about 1/3 of the mixture on a greased cookie sheet and spread out to shape the bottom of the loaf. It should be about 1/2 thick. Then place the hard boiled eggs on top of that in a row down the center. 5. Place the remainder of the turkey mixture on top and form a loaf. I do this all with my hands. It's just easier! 7. Place the cookie sheet in the oven and cook for approximately 45 minutes to an 1 hour or until lightly browned. Once it is lightly browned, remove it from the oven but leave the oven on. Brush top with 1/4 cup marinara & sprinkle some cheese on top. Cook it for an additional 5 minutes or so until the cheese melts. 8. Let cool, cut and serve.